The football World Competition takes place in Russia between 14th June and 15th July. There are live broadcasts across the city of Brussels, which means you get to watch the games with a crowd of people just as excited as you are. Watching the World Football Competition at a public viewing means that you get to meet new people, enjoy the atmosphere, and really get into the spirit. The atmosphere of a public viewing is hard to beat! 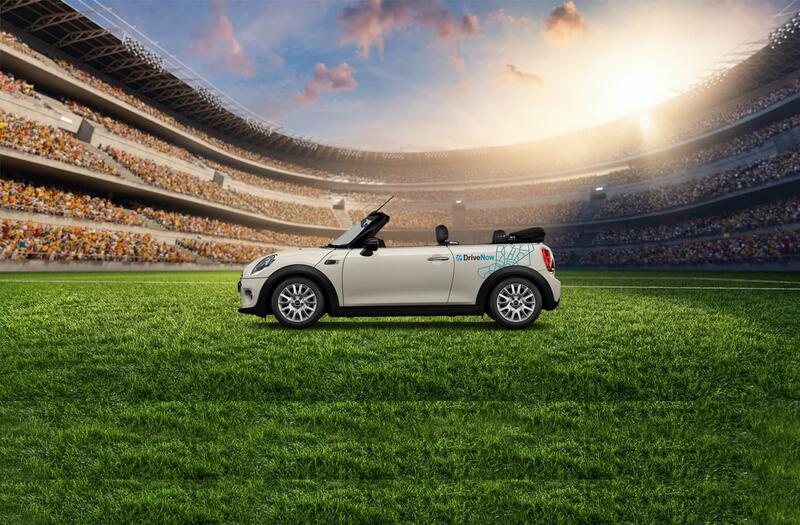 Use the DriveNow app to find a car, jump in, and drive to the nearest location so you don't miss out on any of the action of the Football Cup. Some locations are outside the DriveNow zone, but don’t worry, you can always reserve the 3h or 6h package and come back home in style after the match! Let DriveNow take you to the popular public viewing locations in Brussels! There are public viewing locations all over Brussels. Some of the available locations include La Terrasse O2 in Uccle (we have reserved DriveNow parking spots there! ), the Edmond Machtens Stadium in Molenbeek, the place Pinoy in Auderghem, Le Bar d’Ixelles and La Place Payfa-Fosseprez in Watermael-Boitsfort. If you are watching the game outside, bring a bottle of water and some sunscreen to keep yourself safe in the sun. Make sure you get into the mood for your World Cup 2018 public viewing – enjoy the pub and stadium atmosphere right here in Brussels. If you are not able to see the map below, please reload the page.